Federer is out on his own in terms of Grand Slams won on the ATP Tour with 20 and is widely regarded as the best male tennis star to have played the sport. And he remains at the top of his game, having won the Australian Open earlier this year before triumphing at the Rotterdam Open. By reaching the semi-final in Holland, Federer also overtook Rafael Nadal to become the oldest player to reach the world No 1. He is currently aiming to win a record sixth Indian Wells title this week and faces Jeremy Chardy tonight in the last 16. The 36-year-old has earned high praise from fellow professionals and pundits throughout his career and for being able to elevate his game even further despite his advancing years. And WTA world No 26 Gavrilova, who was knocked out by Caroline Garcia in the round of 32, is the latest to lavish praise on Federer… albeit with a somewhat tongue-in-cheek comment. A ‘goat’ in sports terms is often used as an acronym for greatest of all time. 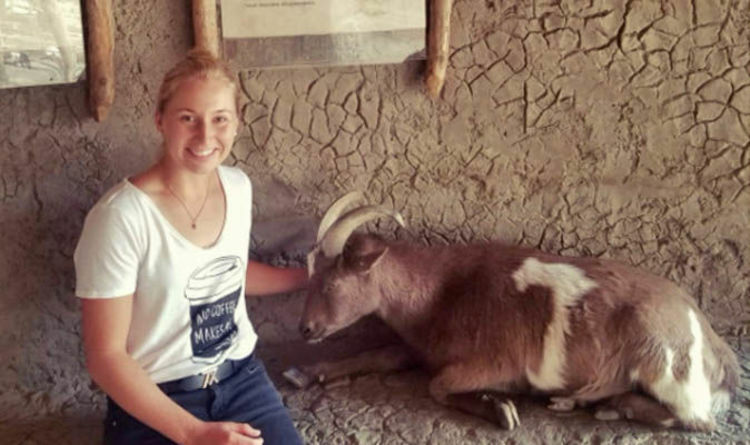 Gavrilova isn’t the only person to refer to Federer as the ‘goat’ with tennis legend Rod Laver insisting no other player comes close to his achievements. “For me, I think Roger Federer is certainly the greatest player that has come along,” Laver said earlier this year. “Yes, we’ve got lots of great players — look at (Rafael) Nadal with a record that says ‘I’ve just won 10 French Opens’, and you can’t sort of push that under the mat. “But I think Roger plays his greatest tennis on the big occasions, on any surface.